well, I liked the film & Salman Khan is a true artist ! salman bhai u and katrina bhabhi rocks!!!!!!!!!!!!!!!!!! Loved the movie and all songs. Love you, Salman Khan!!!!! 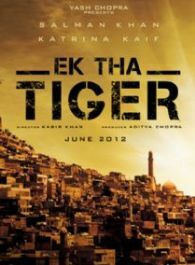 awsm movie.love u Tiger.salman u rocksss. Can't wait for the movie to come. The promos and trailers look awesome. Can't wait to see Katz and Sallu on the screen. I hope and pray this movie is super duper hit. The Mashallah song looks amazing. Omg guys!! The video of 'mashallah' has come out! Can't wait to watch the movie !!! Salman - Katrina spell a ROMANTIC TALE in 'Bharat's' first look!